Polaroid has announced that it is to file for Chapter 11 bankruptcy. This is the second time the company has filed for bankruptcy protection in seven years. The beleaguered company has filed for Chapter 11 in order to restructure its finances. 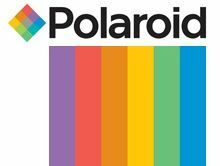 In a statement Mary L Jeffries, Polaroid CEO, said: "Our operations are strong and during this process Polaroid will ship products to our retail partners, work with our suppliers and contract manufacturers to fulfill retailer demand." Somewhat optimistically, she continued: "We expect to continue our operations as normal during the reorganization and are planning for new product launches in 2009." Back in February, Polaroid announced it is to stop production of its instant film – the now-archaic photographic technology that made Polaroid a household name.